Kenyan startups Tumakaro and SokoNect won cash investments of US$5,000 each after pitching to judges at the Mobile Impact Ventures Programme Demo Day held at m:lab East Africa in Nairobi. The programme is m:lab East Africa’s accelerator programme for ventures with innovative solutions in agriculture, health and water, and education, backed by among others the Rockefeller and Tony Elumelu Foundations. The Demo Day saw four ventures – Afya Mobi Solution, Mbegu Capital, SokoNect and Tumakaro – showcase their products and solutions to investors, industry leaders, possible growth partners and potential customers after completing the second cycle of the programme, which began in September. SokoNect, which is developing an agribusiness tool that provides small scale farmers with a platform to sell their products from home using their phones, and Tumakaro, which is developing an online service that enables parents and well wishers living in the diaspora to pay school fees for their dependants in Kenya in a fast, secure and convenient way, eventually walked away with small amounts of funding. 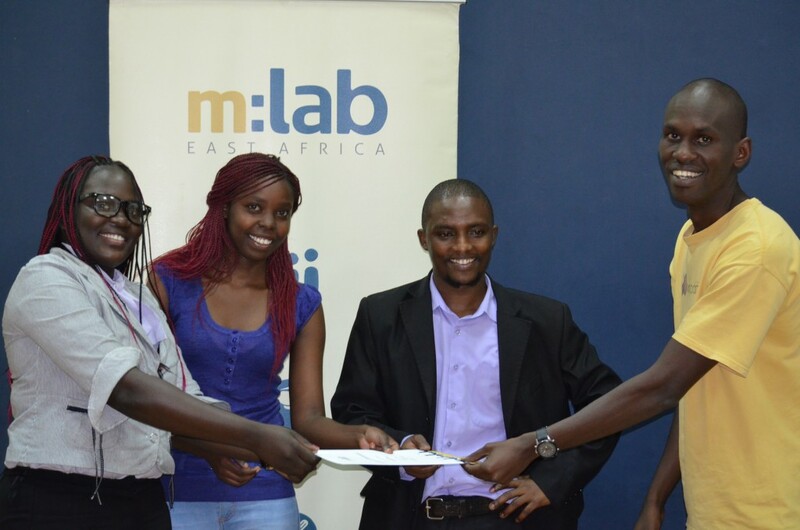 “Selected startups for the programme went through an intensive business masters classes, coaching with business experts and mentorship with sector specialists,” m:lab East Africa said.